The Radio Club of Tacoma holds a meeting for the general membership once each month. We meet on the first Saturday of the month from 1:30PM until 3:00PM at Tacoma Eagles Aerie #3, 4810 S Tacoma Way (map). Pre-meeting socializing starts around 1 PM. Our official start time is 1:30 PM. The Eagles kitchen now offers meeting attendees lunch from their limited menu of hoagie sandwiches. These are $6, and chips are included. To take advantage, please arrive a bit early and get your order in by 1 PM. There will be an entertaining program presented at each meeting. RCT meetings are open to all interested folks. You don't have to be a "Ham" or a member to attend. During the general membership meeting in September, the Nominating Committee presents a slate of candidates for the upcoming election in November (officer and director seats with terms ending this calendar year). Additional nominations from the floor will be accepted at this meeting. During the general membership meeting in October, nominations from the floor will be accepted for officer and director seats with terms ending this calendar year. This is the last opportunity to be nominated to run in the November election. Ballots will be mailed shortly after this meeting. The general membership meeting in November is the Annual Meeting. Ballots received prior to the opening gavel will be counted, and officers and directors are elected for the upcoming calendar year. Special meetings may be called at any time during the year, with advance notice to the membership, whenever Bylaws modifications are to be voted on. Club members are welcome to participate in activities scheduled for the classroom and radio operations rooms on the fourth Wednesday evening each month at the Clubhouse. Information concerning upcoming Wednesday activity nights will be published on this website's home page and publicized on club nets and via email. We're always looking for interesting topics and speakers for our regular membership meetings. 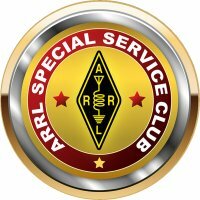 Meeting programs usually feature a subject relating to amateur radio that's entertaining, educational, and of general interest to club members and visitors. A large video display is available for media presentations. If you have an idea for a club meeting, please contact the club president or any club officer. Officers and directors meet at the Clubhouse on the first Wednesday of each month at 7:00 PM. Club members are welcome to attend.